Skarlis dropped in to see his sponsors from Power-Pole Total Boat Control this week to show off his latest hardware. 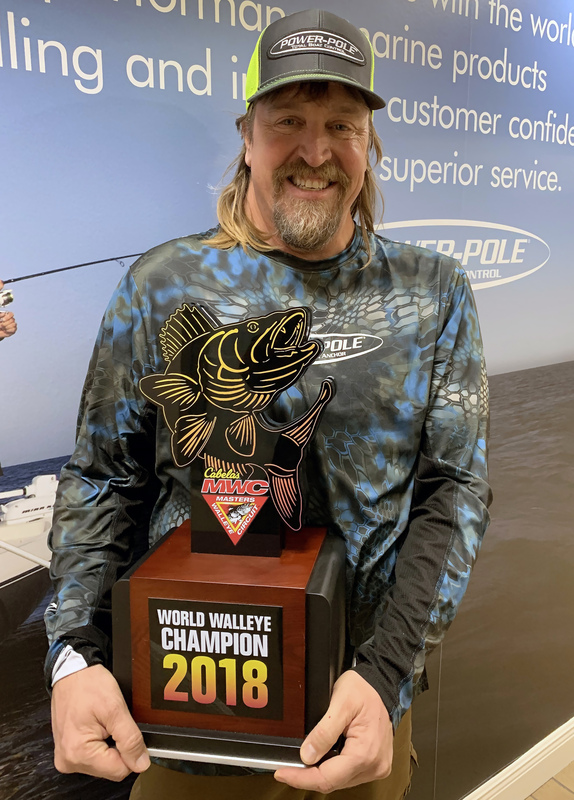 His trip to Tampa was one of his final stops on what the Denver hockey fan called his “Stanley Cup Tour.” It was only fitting since it was his Power-Pole anchor that helped him and his partner, Jeff Lahr, rally on the final day of fishing on Bays de Noc in Michigan to pull off a miraculous come-from-behind victory. 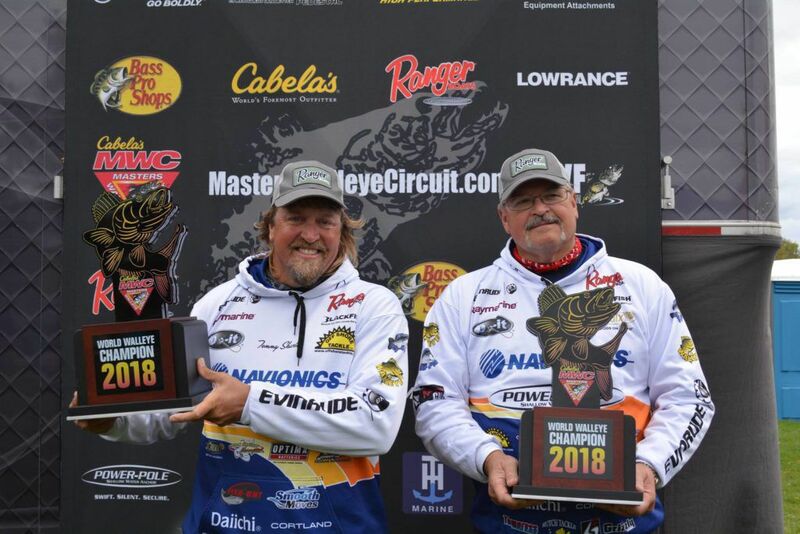 On the final day, the previous frontrunners were unable to put enough walleye on deck to pull away from the field, leaving the door open for Skarlis and Lahr. They flipped their tactics and turned in the biggest overall day of the tournament to catapult them into the lead. Because of high winds and what Skarlis described as “brutal conditions,” they deployed their Power-Pole Drift Paddle to help stabilize their boat and not get blown around as much. With their Power-Poles down, they were able to slowly slip the jigs while moving through the current more effectively. “The biggest key was relating to the fish and the depth they were feeding at,” Skarlis said. “We found that there were three key patterns. Some guys fish spots, I try to focus on patterns. The first was vertically jigged on rock structure in about 30 foot of water. The second pattern was kind of drug along with swimming-style lures like jigging Rapalas or Moonshine shiver minnows and they wanted it drug along in 40 to 60 foot of water. Those fish were out on sand to mud transitions so it was a little bit different than the rock transitions. The third pattern which we had to turn to on the final day after we had no fish by 10:30, was to cast into the structure like rock piles and zebra mussel patches that were in about 20 to 30 foot of water. 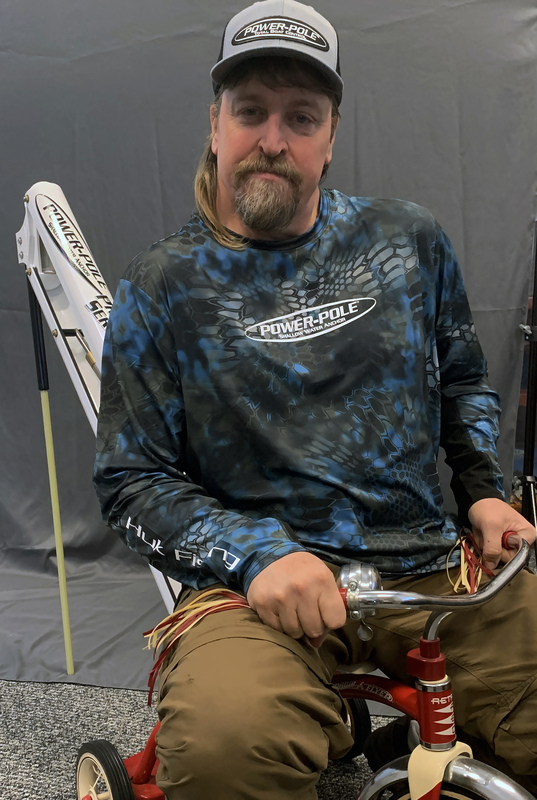 Skarlis said he plans to use the Drift Paddle in future situations, especially as he switches gears into black crappie mode to start 2019. 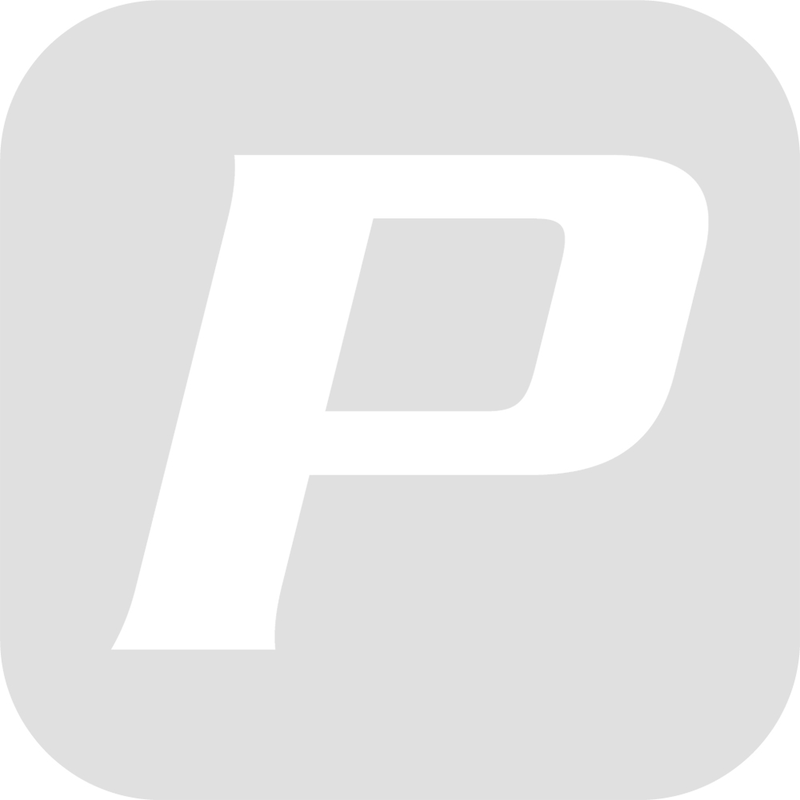 “It’s something I hadn’t done much of but I see more and more applications the more I use it,” he said.